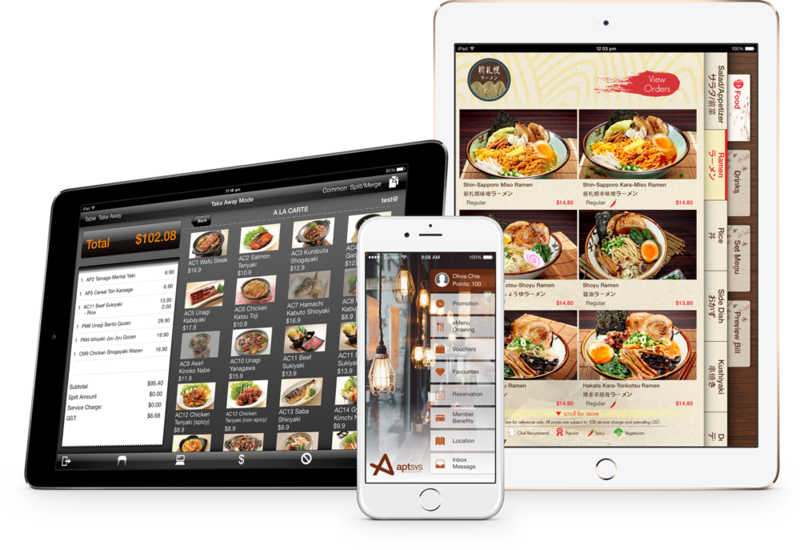 Aptsys’s GEMS is a set of apps designed for Food & Beverage industry, developed by the people who know the industry well, it is also the first of its kind in Singapore and even the world. These are the premier apps in its class for the industry that will set the benchmark for the future. To utilize the multi-touch technology, Aptsys’s GEMS bring solutions that just work for operations, diners, and customers. It also has beautifully designed artworks that brings the added touch of style to meet our clients’ high standards and expectations to aesthetics. It does not only work great, yet looks and feels brilliant, intuitive, and fully functional. 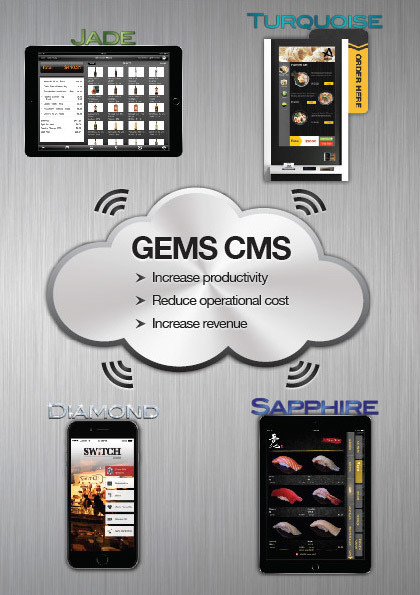 Our GEMS provides true front-to-back, end-to-end and totally seamless integration. Using the full range of our GEMS is the complete package for any Food & Beverage owners. It can facilitate quick service outlets and handle complex kitchen operations of a restaurant. Just setup the system once and with a short training, your operations staff will be taking to it as if they have been using these applications for most of their working lives. Unlike conventional POS systems, which is always threatened by viruses and hampered by the unnecessary burden of fiddling with complicated drivers. GEMS is absolutely hassle-free with the combination of Mac machines and iOS devices which are extremely stable and intuitive. Installing complex drivers will be a thing of a past and Blue Screen of Death (BSOD) will be a distant memory. With the ever-increasing deployment of Mac machines globally, support and spares are available easily. What’s more, our GEMS applications are designed to take advantage of the latest features of the Mac OS and iOS platforms and will be a breeze to maintain! Leveraging on the cloud as a backbone with iOS devices, almost everything is cable free! This will certainly make your working environment a much more pleasant place to maintain and everything can be deployed wirelessly, hence also cut down on traditional IT support. Setting yourself above the competition, thus provide a better overall dining experience in a cool and trendy manner.